With Book 4 (season four) airing later today, there is no better way to get ready than to take a look back to the previous season, Book 3, which might be the best season of Avatar/Korra to date. After a disappointing previous season, can Book 3 of the Legend of Korra redeem the series? Following the events of Book 2, Book 3 starts up with Korra and the gang having to face a new threat, the Red Lotus, a fanatical group of anti-establishment terrorists bent on bringing chaos to the land. Despite having some behind-the-scenes trouble with the release of episodes, the season three finally found a new home exclusively online, which is where it really belongs. However, the behind-the-scenes problems did not affect the quality of the season with Book 3 being one of the best shows on television, not just in animation. Plot: 9.3/10- Tonally, The Legend of Korra has finally found its niche. The series is able to balance the more fun (and occasionally goofy) parts with the darker, more serious aspects nicely this season. While there are still a few more juvenile aspects than necessary, Book 3 is easily the most mature of the series. Thematically, Book 3 expands upon both previous seasons of Korra with themes of anti-establishment and beginning anew. The episode pacing is often quite good with the first half expanding upon the characters, while also progressing the plot in an organic fashion, whereas the second half directed its focus towards the overall narrative. Unlike either Book 1 or 2, Book 3 does not have any glaring narrative shortcomings. It is not perfect by any means, but the beginning of the season is fun and full of character development, while the second half is epic and raises the stakes. Characterization: 9.4 /10- In general, Book 3 is able to balance screen time between the sizable cast of characters, and it focuses heavily on some of my favorite characters, who were shafted during the previous seasons. Korra has finally become a consistently likable character! She is still a bit of an irrational hothead, but grows as a character throughout the season. Brothers, Mako and Bolin, also become consistently likable characters for the first time in the series. Bolin is still seems like a dumb knockoff of Sokka from Avatar, but he is at least enduring most of the time. Mako, for certain spoilery reasons, is finally able to grow as a character, which is nice. Asami is another character that is finally given time to shine. Her friendship with Korra is further developed, and Asami's skills are also on display during the season. After being sidelined in Book 2, Lin Beifong, daughter of Toph, is front and center for several episodes of the season, which is fantastic! She was one of my favorite parts from the first season, and Book 3 has provided us fans with plenty of compelling backstory, including Lin's relationship to her sister, Suyin, who is also a great character. Tenzin, his siblings Bumi and Kya, and Tenzin's family, are not as much of a focal point towards the end of the season, but for the majority of it, all of them have ample development and screen time. However, Jinora was the standout of Tenzin's family this season. As for the antagonists, they are probably the best the franchise has ever had. Zaheer, leader of the Red Lotus, is such a menacing villain, yet he is humanized by both his romance relationship with P'Li, and his motives, which are not entirely evil. His followers are some of the coolest Benders yet in the series, but I will not spoil what makes them special. Action: 10/10- Without a doubt, Book 3 features the absolute best action sequences of the entire franchise! Thanks to the antagonist's unique powerset, each action sequence is different than what has come before, with the final battle being the best the franchise has ever seen. Acting: 9.6/10- All of the returning cast do an even better job than before in each of their roles. Henry Rollins as Zaheer is the most notable newcomer, along with Anne Heche as Suyin, both giving superb performances. Art Style: 9.9/10- After only animating a few episodes of Book 2, Studio Mir makes a triumphant return with some of their best animation yet. From the slums of Ba Sing Se to the heights of the Northern Air Temple, the background animation and scenery is top notch! As before, the fluidity of the animation is simply amazing, and the fight choreography in the animation is positively stunning. Humor: 7.9/10- Despite being slightly improved compared to the previous seasons, the humor can still be hit or miss. Some jokes are genuinely funny, while others fall flat due to the childish humor. The Legend of Korra is better when it is serious. Entertainment Value: 9.8/10- Book 3 finally finds the perfect balance of how to be both fun and serious, much like Avatar: The Last Airbender. The series is able to maintain a constant level of fun and entertainment, while not often compromising the more dramatic elements. Since I had to watch the each episode as it aired, unlike previous seasons, I have to say that it remained the highlight of each week, despite being in the middle of the summer anime season. Overall: 9.2/10- Book 3 of The Legend of Korra succeeds on multiple fronts from the characters to the action to the narrative. While still containing a few minor flaws, Book 3 is often fun and epic, while setting up a potentially dark future for the series in the future. 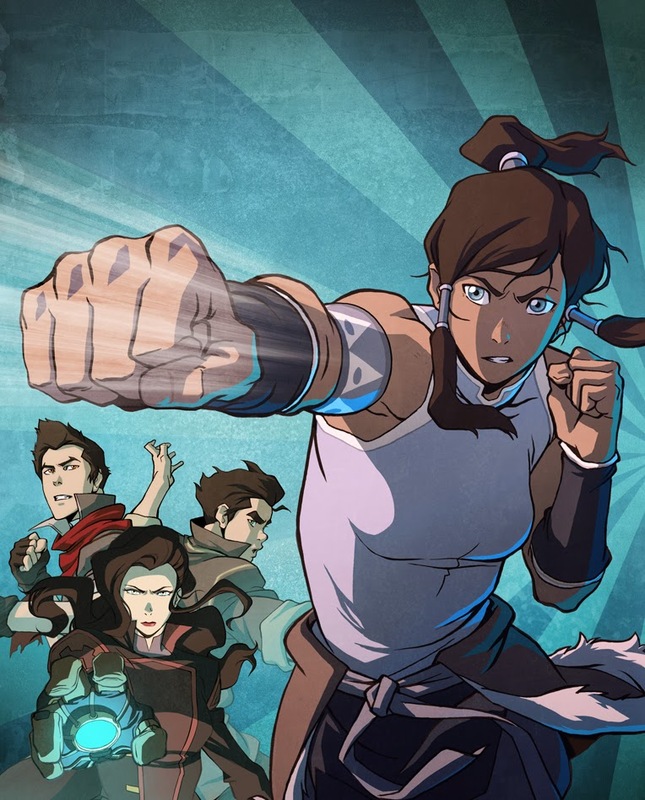 Closing comments: Thus far, 2014 has yet to produce an American television series of higher quality than The Legend of Korra, and if you were to tell me a few months before becoming immersed in the Avatar/Korra fandom that I would be proclaiming the Legend of Korra the best TV show of the year, I would call you crazy. Please check back tomorrow for my review of the Book 4 premiere episode. To read more of my anime reviews, you can click here. If you want to contact us or have any questions please send an e-mail to johnstarslayer@gmail.com. DC Announces 10 Upcoming Movies!